Black market LSD blotter generally bears art or a design printed on the paper. The paper is perforated into individual "tabs" or "hits" approximately 1/4 in. x 1/4 in. The sheets are then dipped in a solution containing a known quantity of LSD or have LSD applied with a dropper creating a relatively consistent dosage per tab. The creation of blotter has become an underground art form leading to an array of creative and stunning designs. 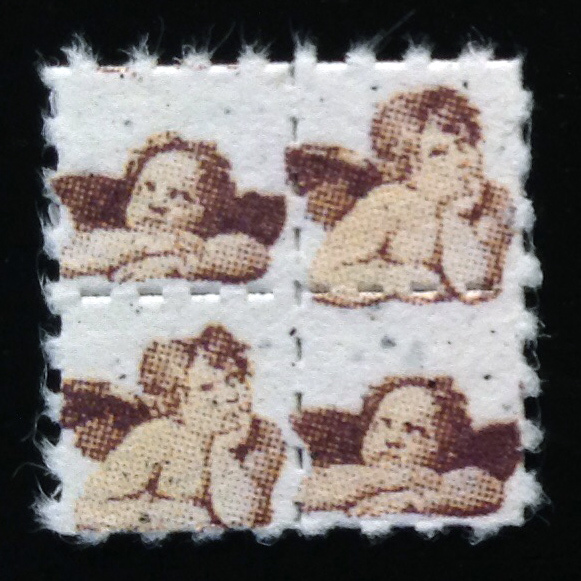 It is likely that a few of the blotter designs shown have never been dipped and were created purely as art. Below are scans and photos of more than 75 examples of blotter showing various designs and art. Some show entire sheets while others show only a few hits. Click on each thumbnail to see a larger image. if we are using a photo of yours without permission, please let us know and we'll add credit or remove it as you choose.